Aurora, IL, December 5, 2016 – Advanced simulation software is helping Tokamak Energy to develop a pioneering clean energy power plant based on nuclear fusion. Using the electromagnetic design and analysis facilities provided by the Cobham Technical Services Opera software, critical design issues are being resolved at an early stage to help prototype an ultra-compact spherical tokamak in a tiny footprint that is about the size of a house room. Tokamak Energy grew out of the Culham Laboratory, home of JET, the world’s most powerful operating tokamak. With the advent of high temperature superconductors (HTS), the company's founders realzd that it is theoretically possible to produce a tokamak that performs similarly to existing research machines - but with a much smaller spherically-shaped reaction chamber. The controlled fusion process inside a tokamak takes place in a plasma that is held in place by a very powerful electromagnetic field. The Cobham Technical Services Opera simulation software is helping Tokamak Energy to design this magnetic confinement system. A key step on the path to the commercial spherical tokamak is the current construction of a working prototype - the ST40 - that will be used to prove that the extreme high temperature required for fusion reactions can be achieved inside a compact tokamak. As part of this design step, Tokamak Energy used the Cobham Opera simulation software to assess the electromagnetically induced forces and field profile of the ST40 tokamak's magnetic confinement system. 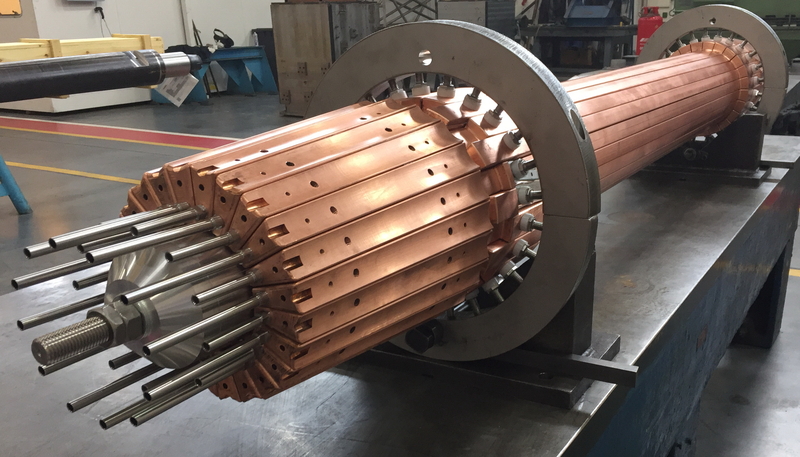 To reduce costs the prototype does not use HTS coils, but employs a single massive copper conductor for each toroidal field coil. The final HTS coils will need to be mechanically supported with minimum heat transfer. This prototype will help Tokamak Energy to investigate a self-supporting structure that is able to cope with the large internal mechanical forces generated but which minimizes thermally conductive connections to the room-temperature world. A consequence of the massive copper conductors is that current density and the resulting Lorentz force density is non-uniform - necessitating a high precision simulation. The magnetic confinement system for ST40 is around 2.6 meters high and 2.8 meters in diameter and will have 24 toroidal field coils, arranged in eight groups of three, as well as multi-turn poloidal field and central solenoid coils. Before finalizing the coil designs, Tokamak Energy modeled and simulated several variations, each examining the fields and forces at different times in the operating scenario. Three dimensional simulation was employed for accuracy, using a 45 degree 'wedge' of the symmetrical spherical geometry for computational speed. Even so, the finite element design models used are extremely large in order to achieve exceptional precision - and involve around 10 million elements. These huge 3D models were simulated in around 15 hours using the Cobham Technical Services Opera software running on standard PC technology. The ST40 is now being assembled and is due to start operating early in 2017. The initial target is to create a plasma that is hotter than the center of the sun, and then push on to reach 100 million degrees. Paul Noonan, R&D Projects Director for ST40 comments, “the Cobham Technical Services Opera software is helping Tokamak Energy to reduce the very high costs associated with prototyping a new fusion power plant concept. After we have built our new prototype, we hope to have assembled some profoundly exciting experimental and theoretical evidence of the viability of producing fusion power from compact, high field, spherical tokamaks”. To speed design and prototyping, Cobham helped Tokamak Energy to build and simulate models of the ST40. Chris Riley from the Cobham Technical Services team, who worked on the engineering project adds, "Developing highly-complex and unique equipment like a tokamak would be prohibitively expensive and time consuming without the aid of advanced computer-aided engineering tools. The performance of the magnetic confinement system is critical to the operation of the spherical tokamak; we are proud to that our Opera simulation software has been chosen to support Tokamak Energy's engineering decisions." 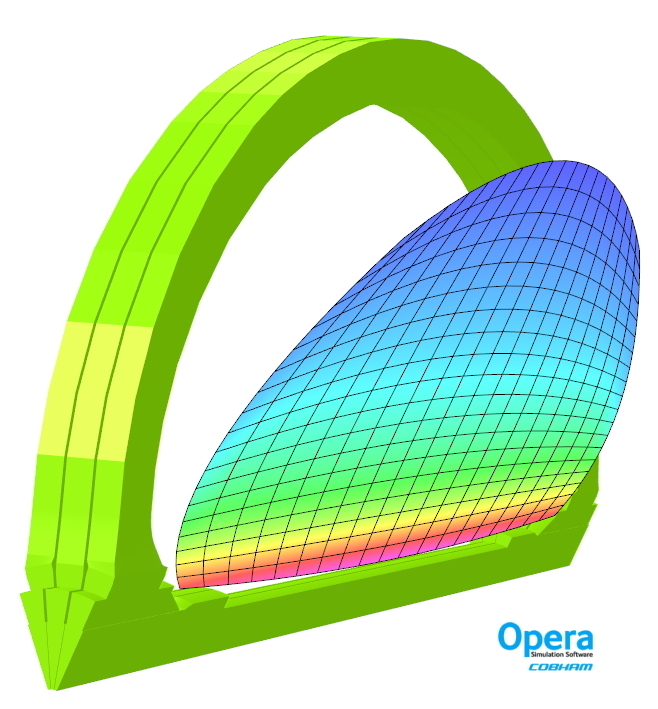 The Cobham Technical Services Opera Simulation Software is one of the leading multiphysics design automation tools, used by industrial and scientific organizations worldwide. 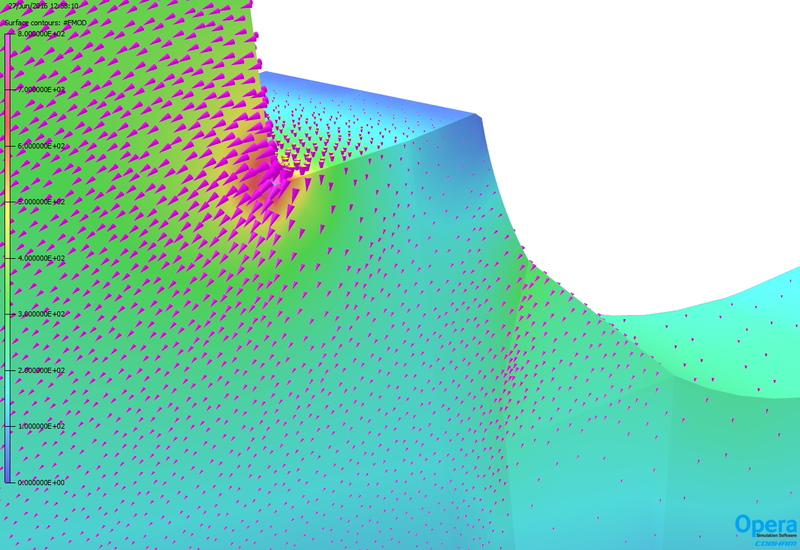 The software is available in many variants, with generic 2D and 3D finite element analysis (FEA) solvers and application-specific solvers for static and time-varying low-frequency and high-frequency electromagnetic, electrostatic, magnetostatic, structural, thermal and space charge design problems. Typical applications include the design, analysis and performance optimization of electric motors, generators and transformers, permanent, normal conducting and superconducting magnets, and charged particle devices such as magnetron sputterers, electron microscopes, X-ray machines and CT scanners. Cobham is a leading global technology and services innovator, respected for providing solutions to the most challenging problems, from deep space to the depths of the ocean. We employ around 11,000 people on five continents, and have customers and partners in over 100 countries, with market leading positions in: wireless, audio, video and data communications, including satellite communications; defense electronics; air-to-air refueling; aviation services; life support and mission equipment. Tokamak Energy is currently at stage 3 and is building a new tokamak, ST40, in Abingdon, UK. Stage 4 (energy breakeven) would be the “Wright Brothers Moment” for fusion – a distinctive technology breakthrough. 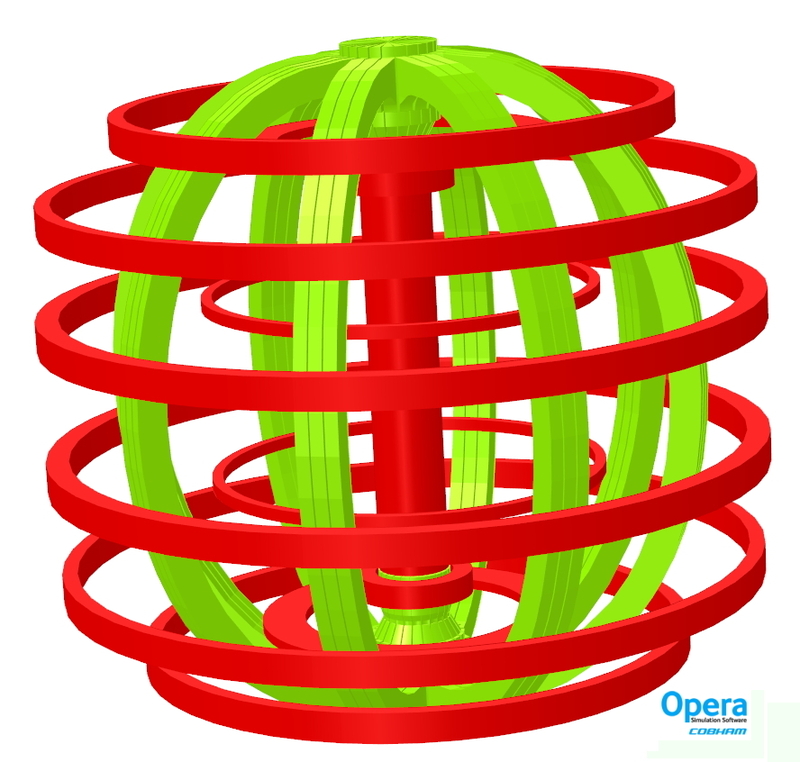 An Opera model of the geometry of the toroidal and poloidal coils of the ST40 tokamak. An Opera simulation of magnetic flux density in the plasma region of the ST40 tokamak - on a plane midway between two toroidal field coils. An Opera simulation of Lorentz force density contours and vectors at the junction of the vertical and D-shape of a toroidal field coil, showing current 'crowding' at an internal corner. 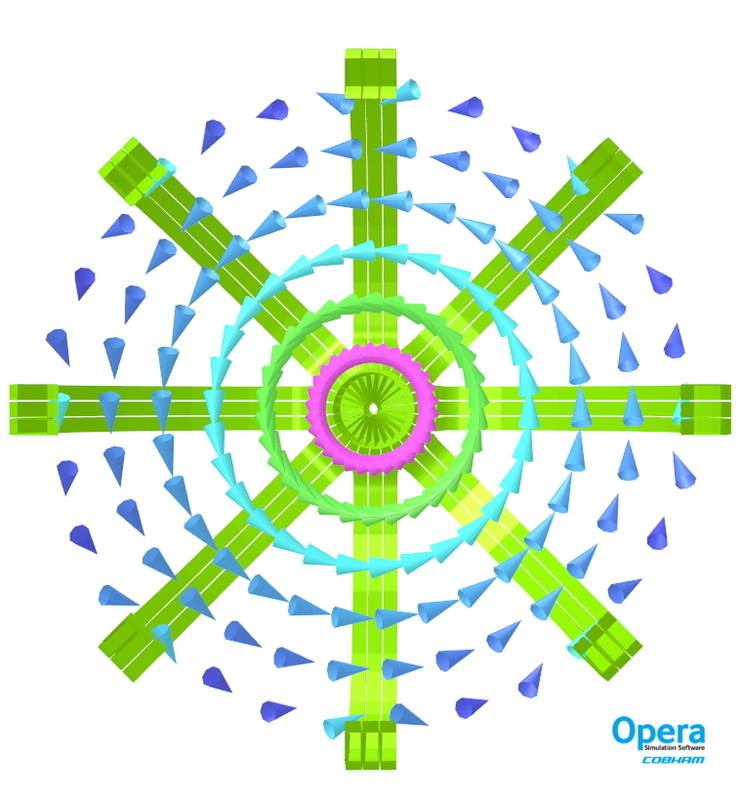 An Opera simulation of magnetic flux density vectors on the mid axial plane of the ST40 tokamak. The central column of the new ST40 prototype tokamak fusion plant, designed with the aid of Opera electromagnetic simulation software (photo courtesy of Tokamak Energy). To view all Cobham Technical Services - Vector Fields Software press releases, click here. If you are interested in other press material such as an article or an interview, just call or email help@wordsun.com.